The emergence of organizations such as BlackLivesMatter, formed in response to repeated killings of young black men by white police officers, indicates that racial tension is alive in America. The racially-provoked pool fight in Dallas, TX that ended with a crazed officer brutalizing a black teenager is a sad commentary on too many communities. The horrible murder of nine churchgoers in Charleston by a white supremacist puts an exclamation point on the problem. It could be argued that in the past several years, racial tensions have increased. While politicians blame their favorite boogeymen, there may be an elephant in the room that no one is considering. A study out of McGill University found that the more government intervention in the economy, the more ethnic conflict existed in that country. The study was published just as the US government was buying huge chunks of the economy to bail out Wall St.
Dr. Stephen Saideman of McGill University, and Canada Research Chair in International Security and Ethnic Conflict, explains. He references the Yugoslav wars as a prime example, where the Serbs fear of losing control of the political system that led to war. The conclusion that a free market promotes less ethnic conflict is shocking enough to the media narrative, but the study also shows that income redistribution is actually detrimental to ethnic group relations. 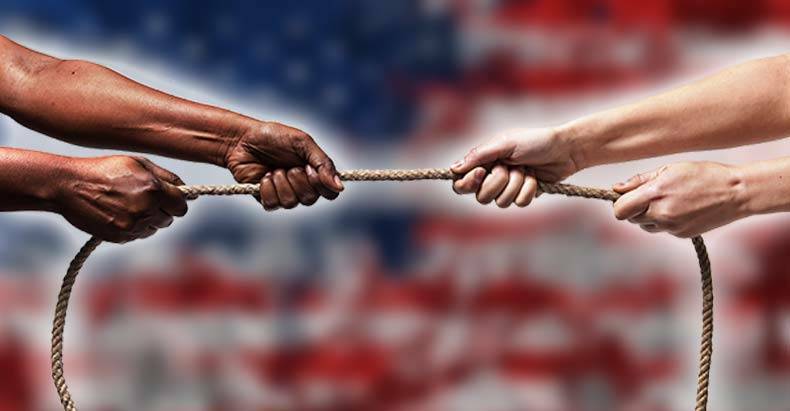 Could it be that heavy-handed government intervention in the US economy since 2008, including persistent income redistribution, is contributing to increased racial tensions? Through a private banking cartel known as the Federal Reserve, government has extraordinary control over the US economy which has only strengthened since the 2008 crash. Government’s answer to the criminal, irresponsible behavior of Wall St. is to write them a big fat check, courtesy of Fed bankers, and to enact a litany of laws to grant themselves more power. If the above study holds true, as it already has across societies, then the US government’s attempt to control the market may have consequences far beyond the monetary type.